We’re shaken and stirred by the latest Star Wars rumours as fans have convinced themselves Pierce Brosnan is joining the sci-fi series. We’re preparing to journey to that galaxy far, far away for Star Wars: Episode IX later this year, but rest assured that the adventures won’t end there. As well as Disney+ ‘s The Mandalorian, Game of Thrones showrunners David Benioff and D.B. Weiss are working on their own series set in the Old Republic era. Elsewhere, Star Wars: The Last Jedi‘s Rian Johnson is still set to helm a new trilogy of movies. Despite Mark Hamill missing out on this year's Star Wars Celebration, it looks like there's plenty to keep everyone entertained. 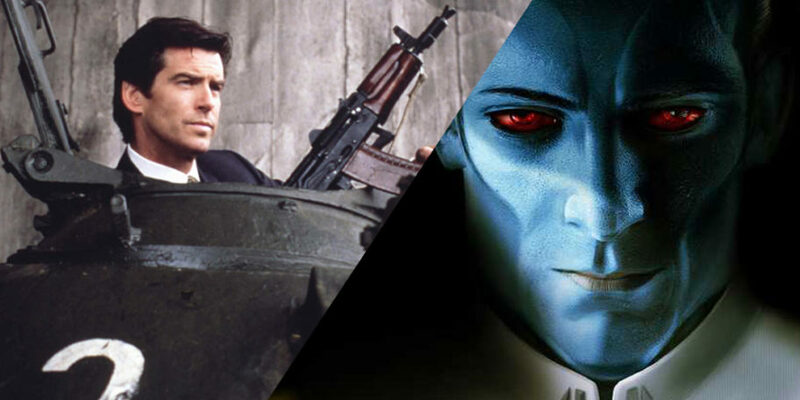 When Disney unveiled a large mural recapping the entire history of the franchise through movies, games, shows, books, and beyond, eagle-eyed Star Wars aficionados noticed that the blue-skinned Grand Admiral Thrawn looked a lot like Pierce Brosnan. Thrawn as Pierce Brosnan huh? The names Thrawn... James Thrawn. The Star Wars Rebels section of the mural imagined what the characters would look like in live-action form. 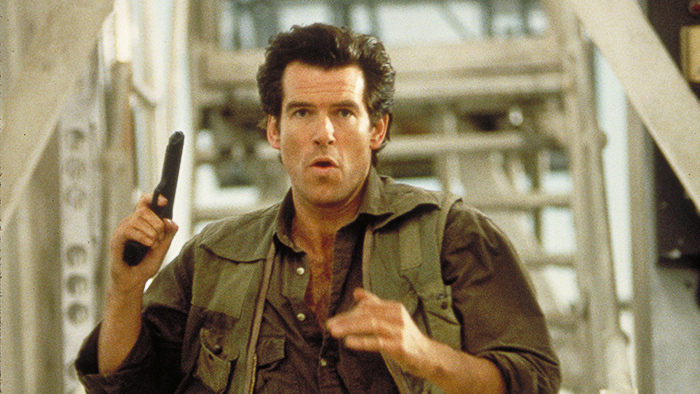 It didn't take the Twitterverse long to pick up Brosnan's likeness to the villainous military commander. Introduced in 1991's Heir to the Empire novel, Thrawn took over what was left of the Empire after Return of the Jedi's explosive finale. Since then, Thrawn has appeared in various comics and video games before becoming a major part of Star Wars Rebels. Aside from his role in four James Bond movies from 1995-2002, Brosnan has shied away from big franchises. Although his casting would be big news in the world of superhero movies, it would be just as amazing to see him join the expanding world of Star Wars. Only recently, Richard E. Grant landed a role in Episode IX and there are continuing reports that Matt Smith will also be part of the ensemble. We'll have to wait and see what comes out of Star Wars Celebration this weekend, but if there's any sort of Thrawn announcement, it isn't too much of a leap to imagine Brosnan dipping his toe into the world George Lucas created all those years ago.